Setting that standard at a high level will be sophomores Chandler Roberts and Jacob Roth, even though neither played for the Larks last spring. Roberts was coming off of a major injury and Roth is a transfer from Barton Community College. However, both have big match day experience. “The sophomores are teaching the freshman what they can in order to ensure the continued quality development of the program,” said Frantz. The freshman have already put together some great individual days on the course. Dustin Nichols went five under (66) in one round and J.D. Cervantes also had a round of 69 (-1) earlier this fall. The practice focus has been on the team’s short game and wedge work, where the true scoring happens. The team is being put under pressure to replicate tournament situations. The Larks will start their season at the Jayhawk Tournament at Colbert Hills in Manhattan, Kansas. The tournament will take place Sunday and Tuesday, March 24-26. 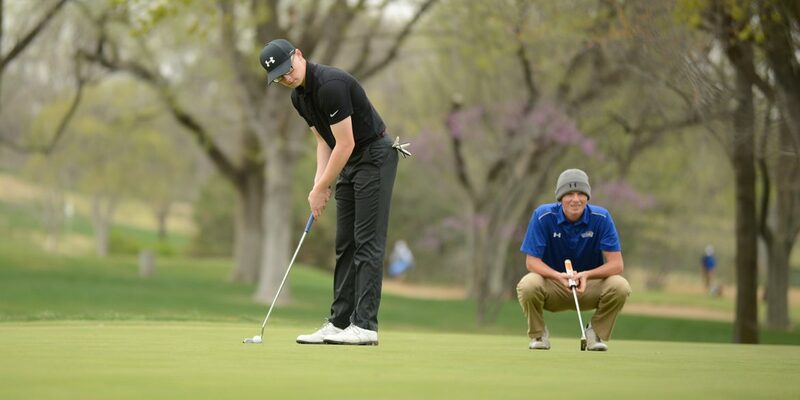 The Larks will complete in several tournaments culminating in the Kansas Jayhawk Community College Conference Championships on Sunday, April 21-Tuesday, April 23 and the National Junior College Athletic Association National Championships in Bullard, Texas in May.